I’ve had a semi energetic week for once and today I decided to keep it up with an exercise class. But come on, it’s Friday! I didn’t want to be too energetic. 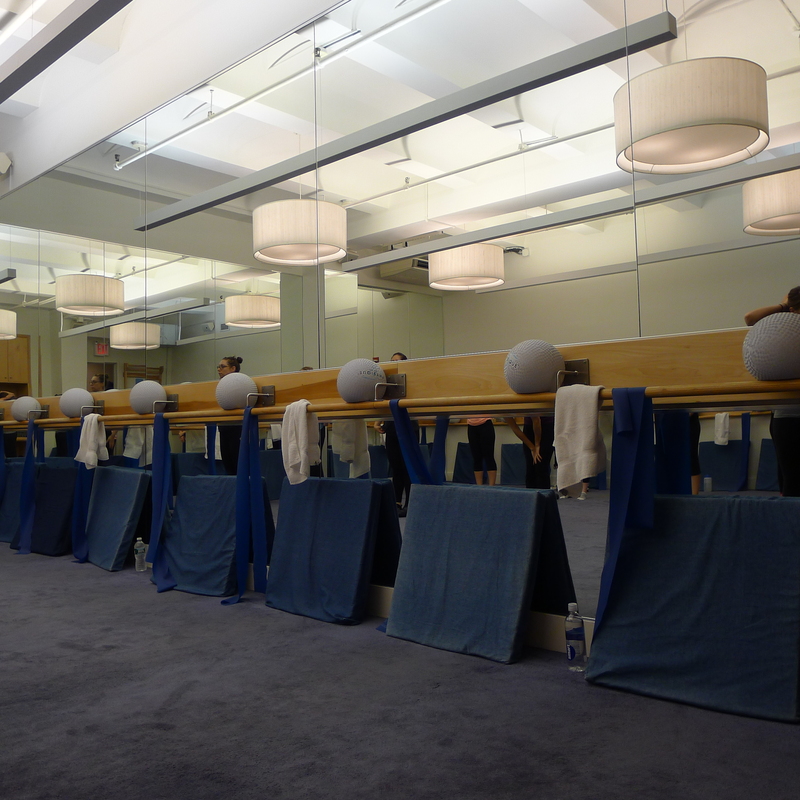 I scoured the internet for a low impact, relatively short class and decided to opt for a one-hour barre session – using a ballet barre for various stretches. But if it was an easy, lazy Friday evening class I was looking for, that is not what I got. 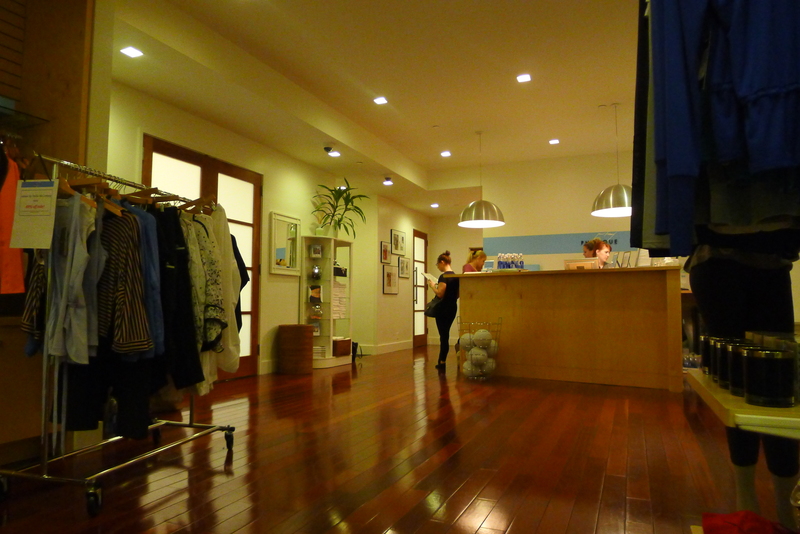 I took a beginner’s class at Physique 57 – a well-known studio with three locations throughout the city. It was anything but easy – it was very, very hard work and very, very fun. 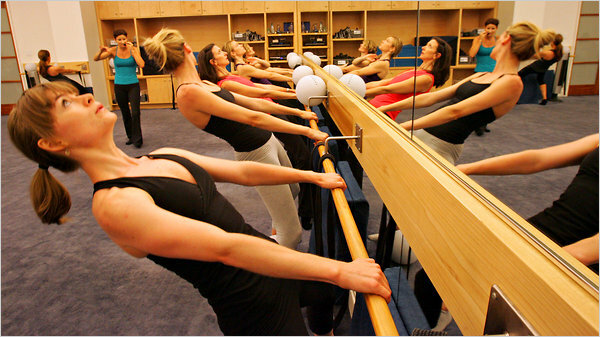 Our instructor Emily welcomed us into the studio which was lined with a wooden barre and dotted with squidgy balls and large elastic strips for resistance work. We started with a healthy batch of stretches and push ups (I was already dreaming of dinner by this point), before moving to the barre. Once there, there were fewer ballet moves than I expected, but a lot of squats and bouncing – and they hurt. At the point of pain in classes, you usually get respite after 10 seconds or so. But Emily’s seconds were about four times as long. There was also crunch work – lots of it. I felt like we worked on every part of our body throughout the session, and while we repeated the moves numerous times, each one was different enough from the last to keep me interested. Our teacher Emily was one of the best instructors I’ve had here in New York; she was upbeat – but sincere – encouraging, and so funny. ‘No burning, no firming!’ she’d yell as I grimaced in pain. The only downfall of the class was that it was a bit squished when we were laying down doing floor work. I suppose it tested my flexibility though – as I attempted to contort in all manner of shapes to avoid brushing against the women next to me. What a great session. Whenever I take an exercise class, it hits me how my ‘new thing a day’ plan is backfiring, because I rarely have the time to visit the same one again. But they are all so good – and this one was no exception. Sounds like a good class.